Kevin Chem was just 15 when he tried his first 100-miler, a six-loop race in his hometown of Savage, Minnesota, in 2014. At that race, he met a training partner. Since Minnesota’s trail running community, like many others, is tightly knit, he quickly found more. He learned about local trails, about training, and about pacing and fueling strategy. 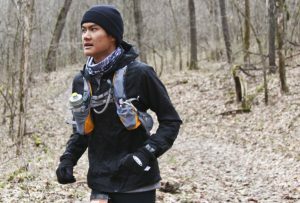 With the extra confidence of training and strategy, he put another 100-miler on his schedule for the following spring: the 2015 Zumbro 100, in southeast Minnesota. An injury derailed his preparation, so he set his sights on the 2016 race, held last weekend.